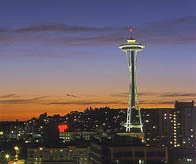 My name is Casey Van Damme and I started MediaSeattle back in 2003 when I was first selling radio advertising. I couldn't watch clients go on the air without a website - so I started designing them on the side since I had already been building them as a hobby. So, it didn't take long for my career to continue to focus on the Internet and all the marketing opportunities it presents. MediaSeattle continues to be a great resource for small businesses who need help getting their Internet presence tuned up and well positioned. I continue to do small web design projects on the side, driven by my passion for the Internet and how much I love to help people navigate its complexities. Even if you just want help putting up a simple 3 - 5 page website to get started, don't think the job is too small. Sometimes the best approach to Internet marketing is to roll it out in phases. Don't let the process overwhelm you and keep you from growing your business.